Michael Fuda is the owner of M&M Auto Detailing LLC and has over 20 years of experience in the auto detailing industry. He is a graduate of the University of Connecticut where he received a B.S in marketing and communication. Soon after graduation he established M&M Auto Detailing LLC and continues to grow and develop the business today. He obtained the title of Certified Detailer thru the International Detailing Association in Saint Paul, MN and later completed his Master Detailer Certification. 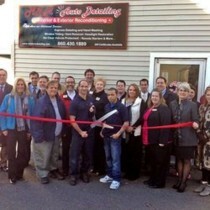 Michael Fuda is also a Certified Exterior Specialist thru Car Products in Holyoke, MA. Michael Fuda is an active member of the Connecticut River Valley Chamber of Commerce and the CT Better Business Bureau. Hector Robles is the General Manager of M&M Auto Detailing LLC and has over 12 years of experience in the auto detailing industry. He is a graduate of Putnam Vocational Technical Academy with a degree in auto body. At Putnam Vocational Technical Academy he began his passion for detailing and became certified in wet sanding, paint correction and buffing. Hector Robles has worked at M&M Auto Detailing for 7 years and was promoted in 2012 to General Manager. Prior to graduating Baran Technical Institute he worked for the Lia Auto Group in Springfield as an auto detailing tech and then the Balise Auto Group where he was promoted to detailing manager overseeing multiple Balise locations. 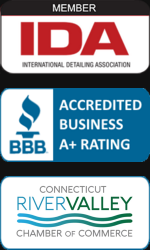 He obtained the title of Certified Detailer thru the International Detailing Association in Saint Paul, MN and is a Certified Exterior Specialist thru Car Products in Holyoke, MA. Hector Robles is a valuable asset to M&M Auto Detailing with an eye for perfection and brings a unique set of skills he produces showroom quality results for all M&M Auto Detailing customers while managing the day to day operations.